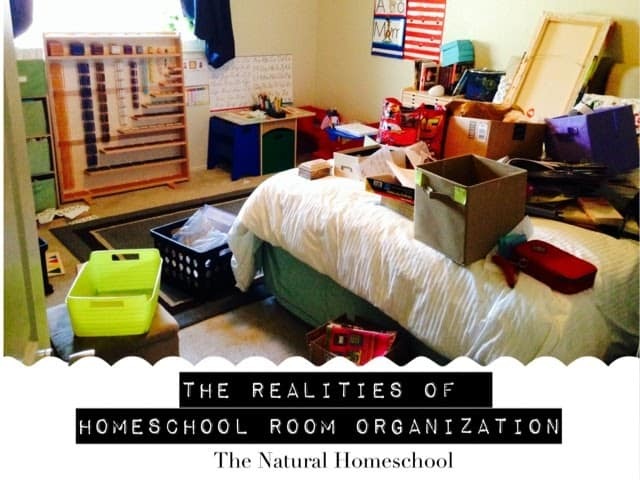 I know what you are thinking: “Why would she show a picture of this terribly messy homeschool room? Isn’t she embarrassed?” Well, yes. It doesn’t make me feel great to expose such a vulnerable photograph for me. But let me express to you why I decided to do it. I hesitated and waited and it took some time for me to decide to write a post on this topic. I am naturally a creature of order and organization. I love to make sure there is a place for everything and everything has its place. Live happens, though, and the unpredictable makes us do things we don’t prefer. Throughout the school year, we collected new items and materials (my personal downfall passion is books), we were in a hurry, we got involved in activities, we SOCIALIZED and well, sometimes I set things aside, just to keep the homeschool room cleared of clutter. It is inevitable, however, for that to come back and show me how it would’ve been easier to put away one thing at a time instead of having to put away ten (or fifty) all at once. Let me be clear: this is NOT what our homeschool room looks like on a regular basis. This is what it looked like when I took almost everything out of our storage closet and the items that were out of place in the homeschool room. Little by little, I got an idea in my head on what I wanted the homeschool room to look like and worked hard based on that. The reason why I wanted to share this post with you is because I struggle with this and day after day, I hear moms put themselves down for not being able to keep things organized and how disorganization and clutter make them feel like a failure. If this is you, let me assure you: you are NOT alone. You are NOT the only one who feels this way. In reality, it isn’t fair to see yourself in that light. It benefits no one and it doesn’t get you out of the problem. You are not a failure. So, without further ado, here are a few guidelines that I followed while reorganizing our homeschool room this year that helped me a lot. I really hope they help you, too. 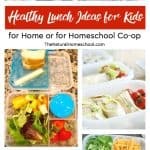 These guidelines can work for ALL homeschooling moms, whether this is their first year homeschooling or they have been homeschooling for 10+ years. 1. 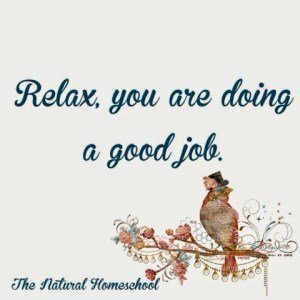 Relax: You are doing a good job. 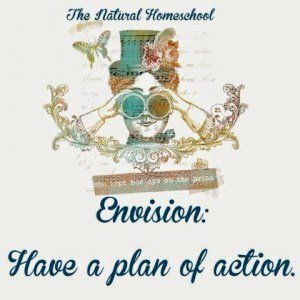 No matter how much you put yourself down or whether you are OK about the reality of your homeschool room, the problem will be no different. The mess, the clutter, the disorganized closet will still be there, waiting for you either way. Take the higher road, breathe and determine that even though your homeschool room isn’t the way you want it now, that you are working towards a goal that will get it there. 2. 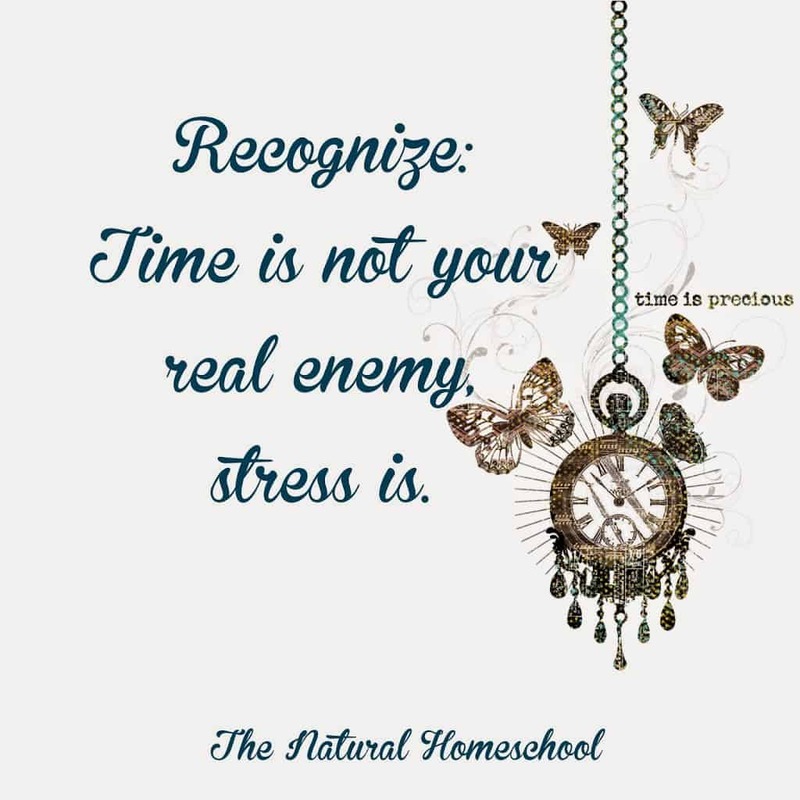 Recognize: Keep in mind that time is not your real enemy; stress is. The number one thing that affects my health is stress. It affects my body even more than eating unhealthy foods. I can tell when I am extra stressed because my traps tense up and hurt, my head hurts, I clench my jaw, I don’t sleep as well as usual and several other symptoms. So, the point is to realize that it isn’t time that you are fighting against, but rather stress. Don’t let it creep in. Don’t let it get a hold of your mind, your heart, your emotions. You will get it done when you get it done and that it OK. You can leave stress outside your door and you will immediately have more clarity to create a fabulous workspace that fosters a love for learning. 3. Envision: Have a plan of action. Draw out a map of your homeschool room and begin “placing” things where you would want them. Or simply take a look around the room and envision things (furniture, materials, books) in a more orderly layout. Go for it! Test your theories out. They might pan out, they might not, but they are worth a try. I moved furniture around and around until I found the best arrangement for us. Practicality is key. 4. 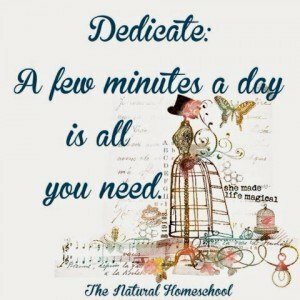 Dedicate: Make sure that at the end of every school week, you dedicate a few minutes to put everything back in its place and keep your homeschool room orderly and organized. And find a spot for those new items you acquire throughout the school year. Don’t let the clutter overtake your storage closets and homeschool room. Believe me, it is worth the effort. In the end, you would’ve spent 5 minutes a week instead of days at the end of the year (or before the new one begins). This would be a great opportunity to end classes 5 minutes earlier on Fridays and have your children help you with this goal. I learned my lesson. I know that there will be changes every year because our children grow and they have different needs, but the principles are the same: relax, recognize, envision, dedicate. Our children are watching and these are good guidelines to live by and grow up with. A happy teacher makes happy students.